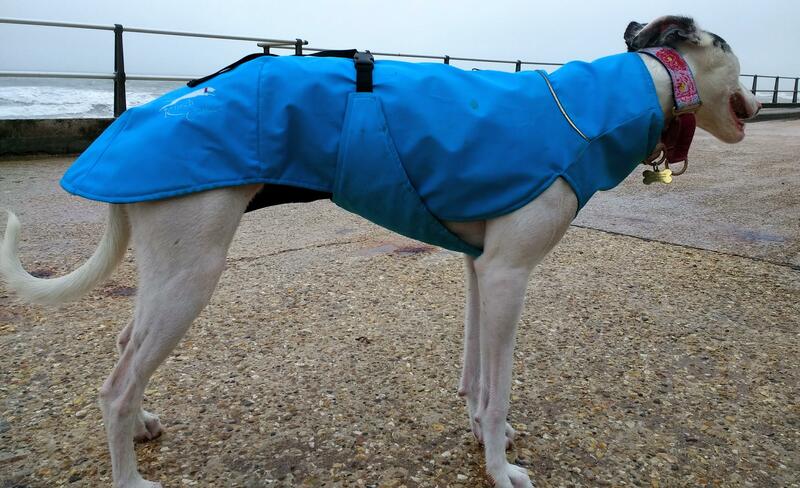 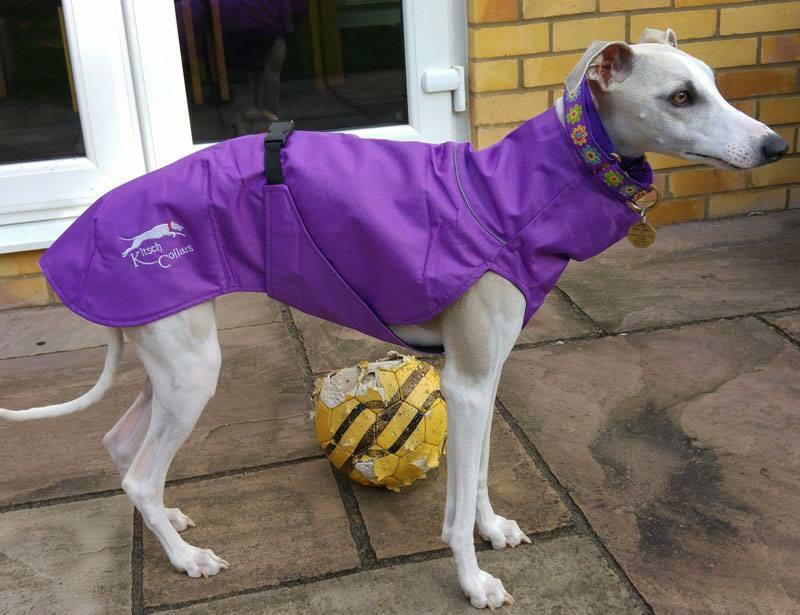 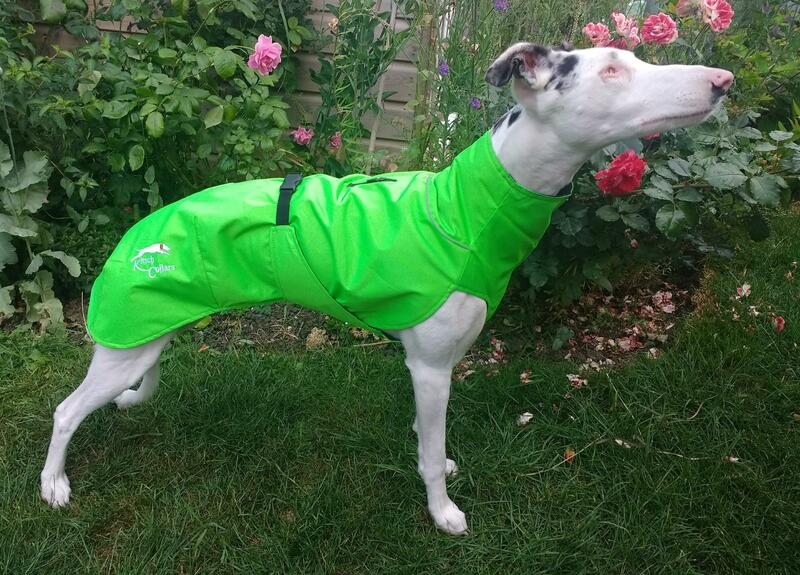 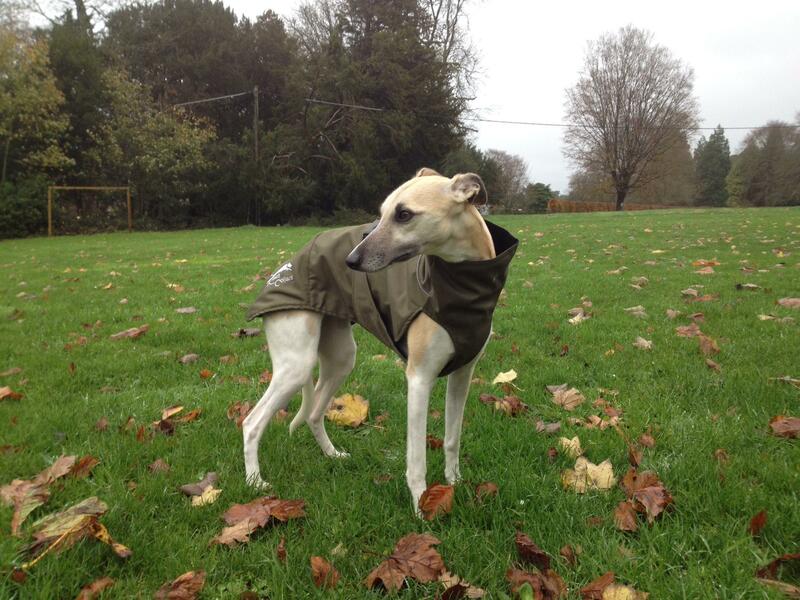 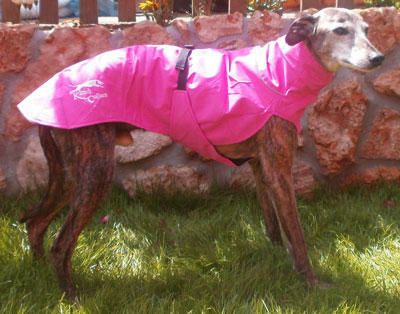 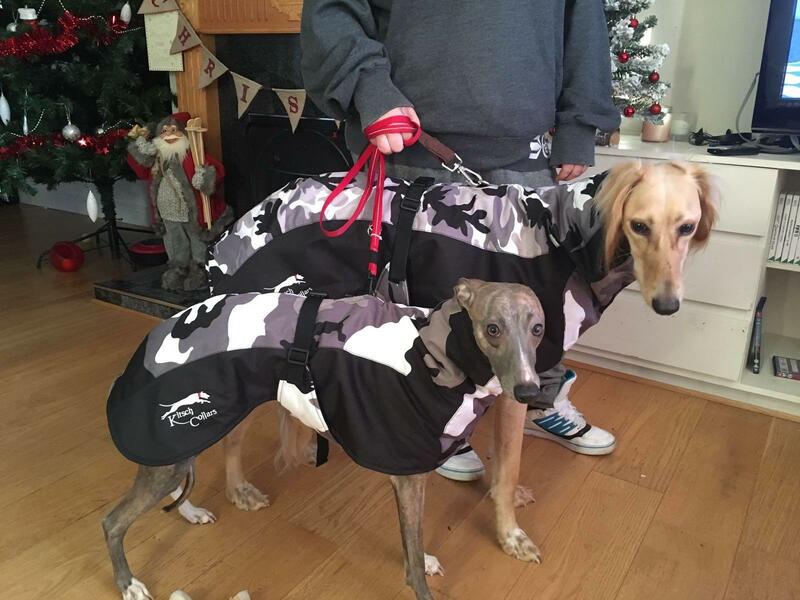 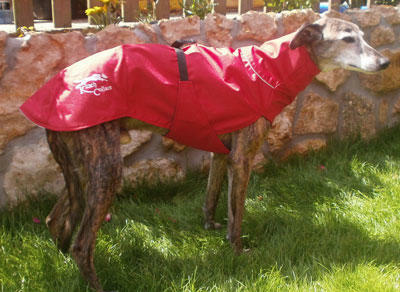 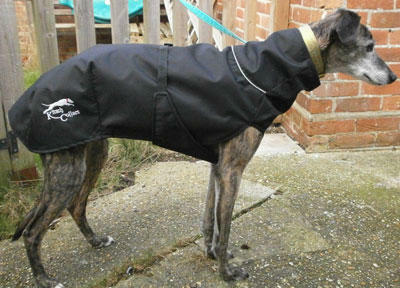 Greyhound, Whippet and Lurcher Raincoats. 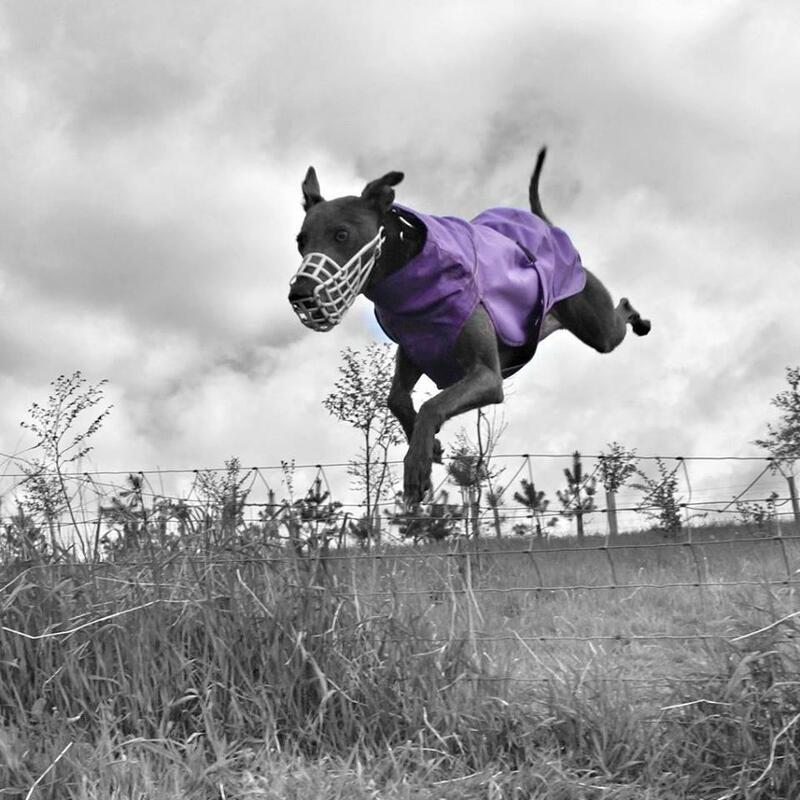 Harness slots & chest wraps. 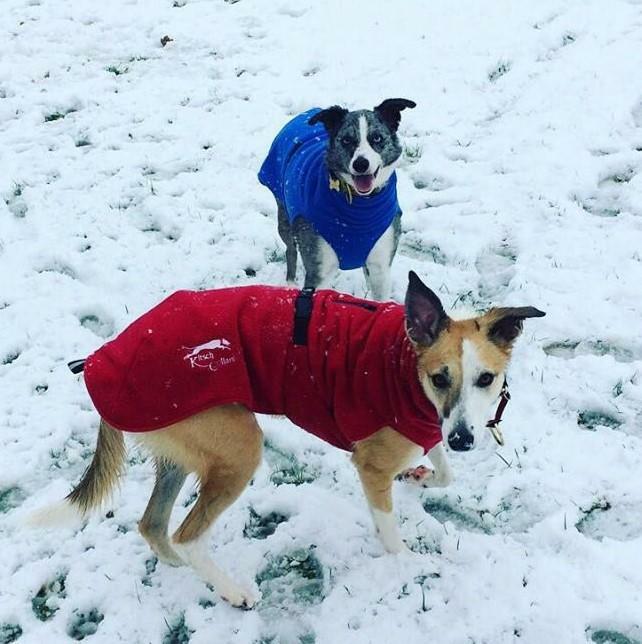 IF YOU WERE ON MY WAITING LIST FOR A COAT PLEASE EMAIL dolly@kitschcollars.com COMPUTER CRASHED AND EMAIL FOLDER WAS LOST!! 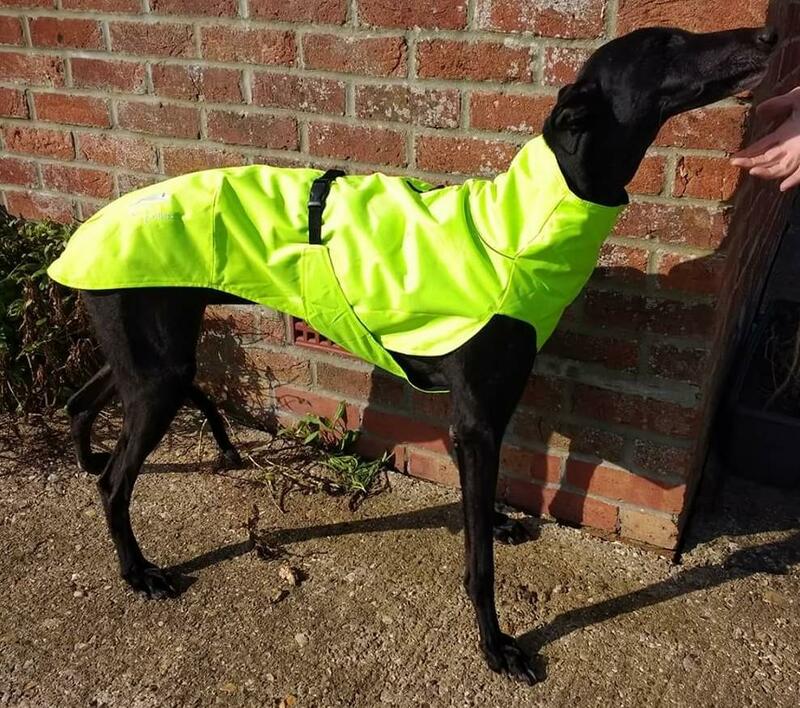 Polo neck, waterproof outer, airtex mesh inner, lightly padded Spring/Summer weight, Kitsch Collars logo on flank, zipped harness slot. 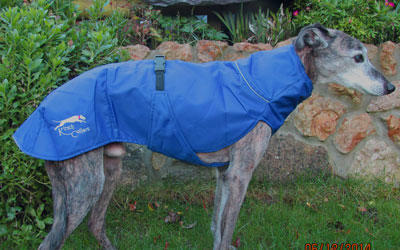 Covered tummy band, reflective piping on neck and end tab.